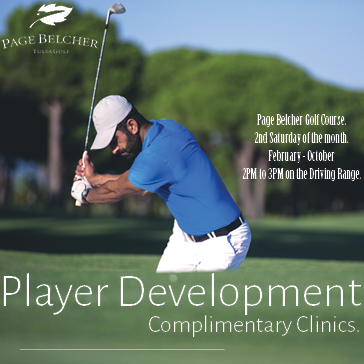 Join us for Player Development Program Complimentary Clinics at Page Belcher Golf Course! Clinics will be the 2nd Saturday of the month from February to October. Come out 2pm to 3pm - Meet us on the driving range! If you have any questions, call 918.446.1529.